Home » News & Events » Solar Powered Homes Selling Like Hotcakes. Solar Powered Homes Selling Like Hotcakes. Slow real estate market isn’t true for homes with solar power. In fact the demand for homes with solar power is going through the roof according an article in the LA Times by Elizabeth Douglas. Even in a slow real estate market buyers are seeking out solar-powered homes. It’s a classic case of differentiation, because of the housing crisis, there is massive inventory of homes, what sets your home apart from the rest of them? Since energy bills are skyrocketing and are going to continue to inflate as we move forward the home with solar panels makes its stand out because of the long term savings a home owner realizes when living in a sun powered home. When the economy is shaky, homeowners are looking for stability and solar power can provide security homeowners are demanding. 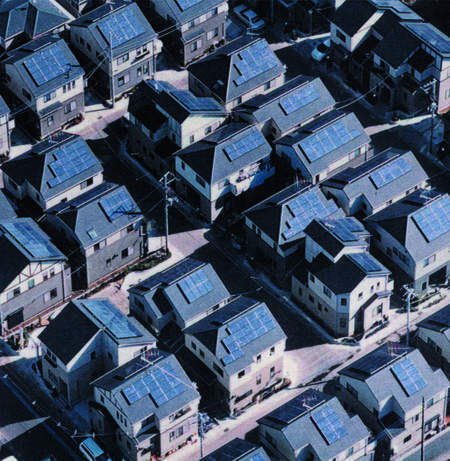 Still only 5% of new homes in California are built with solar panels. So if your thinking about upgrading your home, think about solar power, it adds more value than adding a new bathroom sink. As far as i know the same thing goes in Europe. People use solar in their homes and feel themselves completely free and sustainable. In Germany homeowners even sell green energy to the government! What’s the average price of “green” energy home compared to non-“green” homes? Germany has a great incentives to motivate consumers to purchase solar power. they’re way ahead of the curve! good question, with solar panels, every dollar you save on electricity per year it increases your home valuation by 20 dollars. A 20 to 1 ratio, not bad!